At Steuben, when a piece is in production, the "ware" is in WIP (work in progress). This is WIP...just to show you a bit of how this back and forth thing happens. Cutting out, applying on top...etc. 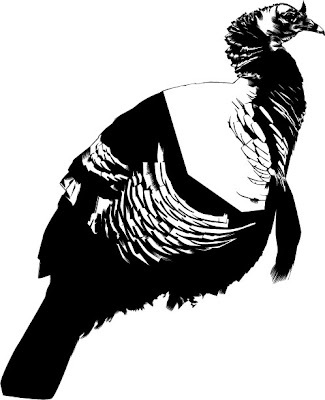 My friend Hilary saw this and proclaimed that she was surprised that turkeys had a vulture quality...and they do. Gotta go.